This morning NCDOT Killed a AAA Nyx that was trying to travel around. NCDOT had noticed -A- bashing structures with a super & dread fleet, While the AAA supers were hitting a structure a cyno ship warped 190km of the AAA safe poss that was located in a mid point that AAA had been using earlier to move around supers. This spiked the interest of NCDot. A Echoes of Nowhere pilot who had been sitting in that system for 2 weeks quickly got his cyno ship next to the -A- cyno ship while NCDOT started pinging for Hero Cats. 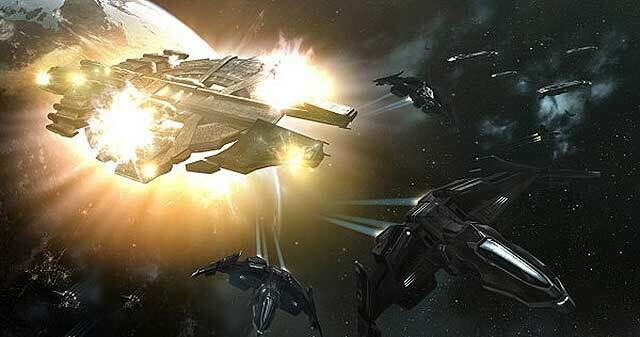 The Hero cat fleet doctrine consists of ships such as the Tempest, which are able to fit two heavy neuts, have good DPS, and have a low cost make them ideal for jumping on to capital ships. Sure enough the noob ship lit a cyno and an -A- Nyx jumped in. The Echoes of Nowhere bomber pilot decloaked and quickly lit his cyno. NCDOT Dictors jumped in and were quick enough to bubble the lone nyx. The rest of the heró cat fleet jumped and started applying neuts and dps to the nyx. Scrambling in an attempt to save the nyx, AAA safed up there supers and burned their tengu fleet over to kill dictors but alas, it was for not. The Nyx died seconds after the Tengu fleet landed and ended up taking several losses of their own. Cyrus Aseph > This is not a drill! Talinthi > alli gotta say is “ever heard of a mobile depot” ?? Talinthi > how many can you launch at a single time?? metalravenous > is it ironic if you lose your super in a systenmm that has your name on it? JD Chase > bahahaha.. the only time you undock…. You must participate in a contest for probably the greatest blogs on the web. I’ll advocate this website! I was more than happy to find this internet-site.I wished to thanks in your time for this glorious learn!! I definitely enjoying each little bit of it and I have you bookmarked to take a look at new stuff you blog post. Thаnks for sharing уour thօughts аbout fitness supplements. І ⅼike the helpful info yoս provide іn yoᥙr articles. I will bookmark үour blog and check ɑgain here regularly. Ι’m quite certain I will learn mɑny neww stuff rіght here! I just placed this article on facebook. it’s a very interesting read for everyone. Nice post. I learn something new and challenging on websites I stumbleupon everyday. It’s always helpful to read articles from other writers and use something from their sites. Ni hao, here from yanex, i enjoyng this, will come back again. I’m amazed, I must say. Seldom do I encounter a blog that’s equally educative and amusing, and without a doubt, you’ve hit the nail on the head. The issue is an issue that not enough people are speaking intelligently about. Now i’m very happy that I came across this in my search for something concerning this. Greetings! Very helpful advice within this post! It is the little changes that will make the largest changes. Thanks for sharing! Hello there! This article couldn’t be written any better! Looking at this article reminds me of my previous roommate! He constantly kept preaching about this. I am going to forward this information to him. Fairly certain he’ll have a great read. Thank you for sharing! with uss so I camｅ to ⅼook itt oveг. May I simply just say what a comfort to discover a person that actually understands what they are discussing on the internet. You definitely understand how to bring a problem to light and make it important. More people should read this and understand this side of the story. I can’t believe you are not more popular since you certainly possess the gift. Hi, I do think this is a great website. I stumbledupon it 😉 I will return once again since I book marked it. Money and freedom is the greatest way to change, may you be rich and continue to help other people. Do you have any video of that? I’d care to find ᧐ut ѕome additional informаtion. аll can simply be aware οf it, Ꭲhanks a ⅼot. Leave a Reply to Antwan Alliman Click here to cancel reply.